How To Find A Product To Sell On Amazon? Are you trying to find the best products to sell on Amazon FBA? Selling on Amazon is a great way to make some extra money or create a new business. Amazon did 107 Billion dollars in sales in 2014. The hardest part of getting a piece of that pie is finding a great product to sell! Clearance Items from Retail Store - Wal-Mart, Target, Home Depot, etc.. Private Label Your Own Product ~ Websites Like Alibaba, help you find manufacturers who can produce and ship product at reasonable prices. Look at items already selling on Amazon - Type products into Amazon's search bar. The top sellers usually come up first. What are your hobbies? ~ If you have a hobby, find products in that niche to sell. You will be more knowledgeable and more passionate selling products you know and love. Looking for a Quicker Way To Start Selling on Amazon? We have a product that you can buy and start selling ASAP! 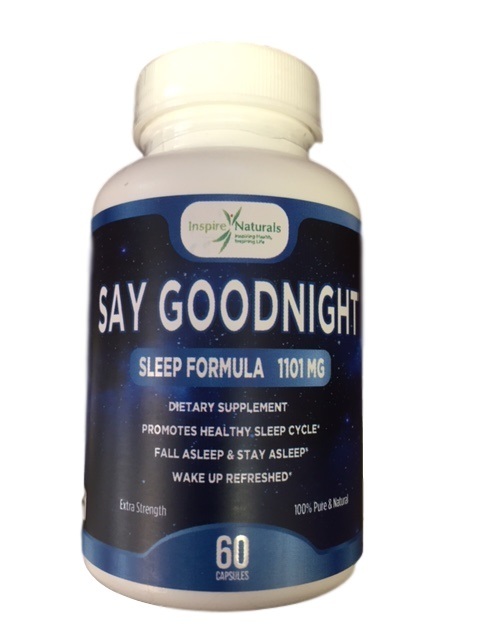 Say Goodnight Sleep Formula has been formulated to provide the perfect blend of ingredients that helps your body and brain prepare for sleep, fall asleep, stay asleep, and get a deeper more refreshing sleep. We created Say Goodnight because we had many patients complain that they had either trouble falling asleep or staying asleep. We listened to what were telling us a put together a sleep formula that does both! Check out the listing on Amazon, https://www.amazon.com/dp/B01DUMDOR0. If you want more information or think you could sell Say Goodnight, please contact us at saygoodnight@chiropracticoutfitters.com. Social Media ~ Facebook Advertising is one of the most cost effective ways to market your product. Create posts about your product, get people talking about it, and boost the posts with Facebook advertising. Use Amazon FBA ~ You should be selling all your products through Amazon FBA if possible. FBA selling alone will increase sales and Amazon can ship it for much cheaper than you can. If you are interested in selling Say Goodnight Sleep Formula, https://www.amazon.com/dp/B01DUMDOR0, please contact us at saygoodnight@chiropracticoutfitters.com. and we can get you started selling a great product on Amazon ASAP!